I think it's been nearly forty years since I first read this book ... back in fourth grade it was. I happened to be doing a search on Amazon and up pops this old memory. It's quaint and fun - though not laugh-out-loud funny anymore. 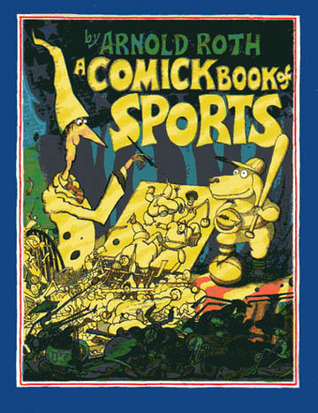 Arnold Roth is a fantastic cartoonist, right up their with Jules Fieffer - though with a radically different style and approach. There's a level of detail and absurdity to his work that's still refreshing today. I wouldn't recommend this particular book to everyone - it's a tad dated in spots - but it's a fun read and would be a fairly good kids-level book for anyone interested in cartoonistry. When the Ian Thorne monster books weren't available, this book was a fave. Even though I wasn't much for sports, the illustrations are Maddening.